Usually, people visit Google Play Store for downloading apps on your Android device. Sometimes, downloading apps from Google Play Store can be difficult for Android smartphone users as not many apps are available on the play store. 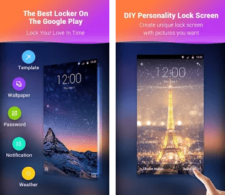 You may not find all the apps that you need for your Android smartphone. Even, there are not many popular alternatives available for Google Play Store. If you download apps from the Internet, you’ll certainly need to face critical security issues that might affect your device. Want to download apps from a trusted app store? MoboMarket is a perfect alternative for Google Play Store which is a trusted third party marketplace for downloading apps on your Android device. MoboMarket is a third-party Android app that has got many apps that would be not present on the Google Play store. You can overcome the above issue through MoboMarket. It allows you to download Android apps from its servers irrespective of your region/location without the need of registration process. Here is the complete review of MoboMarket, the smart alternative for Google Play Store. MoboMarket is an app store where you can download apps, games and much more for your Android device. MoboMarket has bounteous latest apps and games from reputable and trustworthy app developers. People can easily discover the best apps and download them for their Android device. One of the amazing features of MoboMarket is that it has the ability to clean up your device with a built-in cleaner app thereby helps your phone run faster. MoboMarket was established in the year 2012 and it’s been going for three years now that has acquired the highest place and accepted as the best Android App markets in the world. Recently, it has launched a brand new version this month with amazing new features and apps. It assists the Android users globally to discover their desired apps from the immense app store. 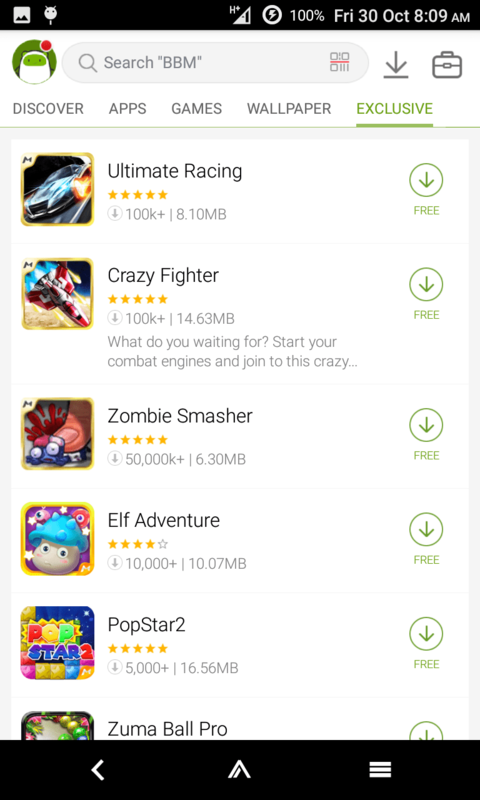 MoboMarket provides more than 500,000 high-quality free games and apps enabling users to download them in a more user-friendly way. Enhanced user interest based suggestions along with the recommendation system. Move apps installed on the internal memory to the SD card with much ease. Separate Android Cleaner that helps in cleaning up junk files from your Android file system. MoboMarket acts as a memory optimizer that kills processes thereby boosting your device’s RAM. Discover new apps and exchange your thoughts via User/Forum Group in a more friendly way. Provides more localized content where users can explore through wide varieties of content. Users can own a private account and win exclusive rewards besides searching for new apps. Daily updated list of the best and trending apps in the market. MoboMarket has been launched with a brand new version that comes with incredible features and latest apps, games, high-quality wallpapers and much more. MoboMarket aims at providing best Android apps for all its users and so it has developed this new version with lot more features. MoboMarket has come out with a new design UI in order to enrich the user experience. The app store provides numerous sections with elegant design. The UI design is completely new that allures the user. A user forum/community is a new group which has been added to this brand new version of MoboMarket. It is a place where you can exchange your thoughts regarding your favorite games and funny new Apps. It provides a new built-in user account system where users can own a private account, log-in events in an easy manner and win exclusive prizes with points. 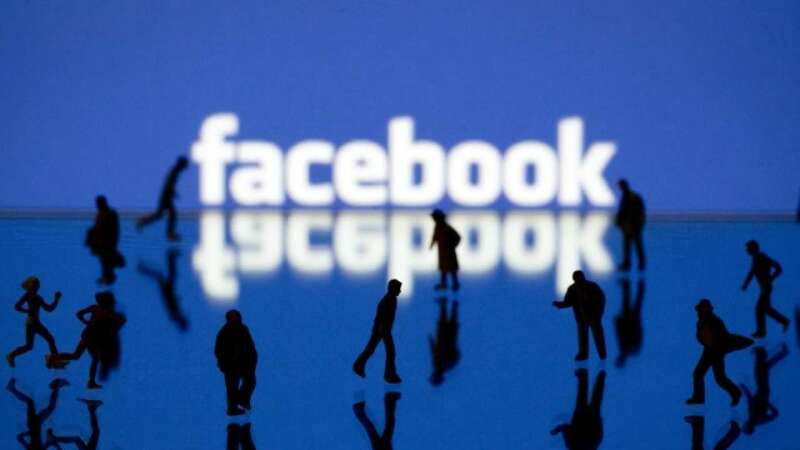 It has introduced this new feature on the app store in order to create a more friendly and convenient environment for the users besides searching for new apps. You can enjoy with added fun through this feature in MoboMarket. The content is the major thing which is essential for an app market. The new version of MoboMarket provides a wide variety of content for the users. It provides free games, apps, and HD quality wallpapers along with much more excitements that are waiting for you. Download MoboMarket on your device and start finding new apps and games. For that, you need to just head over the MoboMarket website and install it on your device. Once you open the app, you will find various options at the top like Discover, Apps, Games, Wallpaper, and Exclusive. Tap on “Discover” option to discover latest apps. You can find two sections such as Must Have and Collections from which you can download desired apps onto your device. Just click on “Apps” option where you can download apps from two sections such as Categories and Top Charts. In the Categories section, you can find all categories like photography, music and video, tools, shopping, news, health, finance, books, and many more. Under the Games section, you can find plenty of games that can be downloaded on your device. In the Wallpaper section, you can also download the High digital quality wallpapers for your Android smartphone. In the Exclusive section, you can find exclusive apps and even you can download all the apps at free of cost. In the Menu section which is on the top of the page, you can find various options like Download Manager that allows you to manage your downloaded apps, uninstall unwanted apps, browse through the installed Android apk, startup optimizer, and the battery saving options. 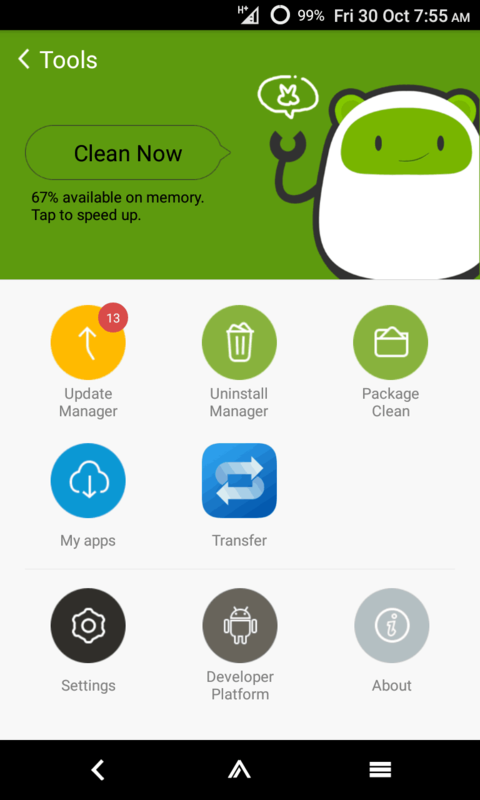 As mentioned before, MoboMarket has a built-in cleaner app that cleans your Android device and boosts the speed of your device. Download Apps from Trusted and secure servers. Easy to navigate through the app store to explore latest apps. Contains plenty of apps and games with vast content. Discover apps in a unique way that you wouldn’t have found in other App Stores. Add-ons like RAM booster, App Cleaner, etc., are available. 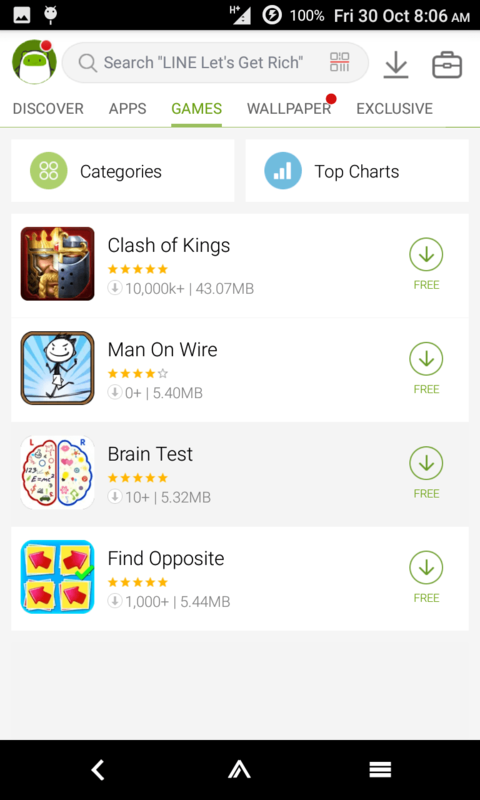 Discover, Download and Install Apps and games for free. Get app recommendations based on the App. Not everyone like the built-in cleaner app. MoboMarket is a great resource where you can find more new apps and games. All the apps and games on the MoboMarket are provided by reputable app developers. MoboMarket plays a vital role when accesses to some Android apps blocked in some regions. If you’re looking for a one stop app that can provide you with access to tons, and tons of apps and games with built-in tools to help you manage them, then MoboMarket is the best choice. Thanks for sharing nice article. Google Play Store for downloading apps on your Android device is much secure tool Sometimes, downloading apps from other store or website it can effect speed of Android phone. thanks for sharing alternative.